Windows 8 may have brought with it a host of changes that a lot of fans appreciate but one thing that not a lot of people are happy to see disappear is the traditional Start Menu. With one click, users could quickly get an overview of the programs that were available to them. It also made shutting down your computer infinitely easier. While there are ways to “restore” the Start Menu on your Windows 8 desktop, some of you out there may not want to mess with your OS or are willing to give Windows’ new look a try but want a simpler way to to shutdown or restart your machine. If that’s all you’re interested in, then we may be able to help you accomplish that by teaching you how to create easy access shortcuts. 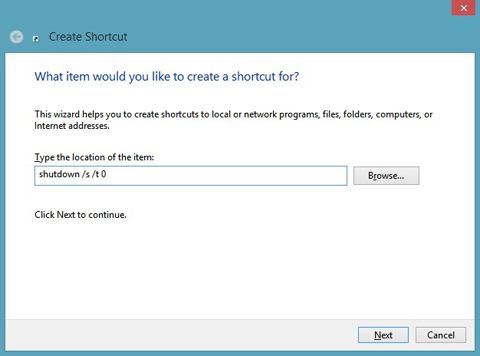 You can create a shortcut for restarting and logging of your computer by using the code “shutdown -r -t 0” and “shutdown -l” respectively. It may also be a good idea to change the icon to something easily distinguishable. You can do that by right-clicking on the shortcut, selecting Properties and then clicking Change Icon. Once you’ve picked an icon that works for you, hit Apply and then OK. You may also want to drag your icon to the Taskbar as leaving it on the desktop will require a double click to activate it. 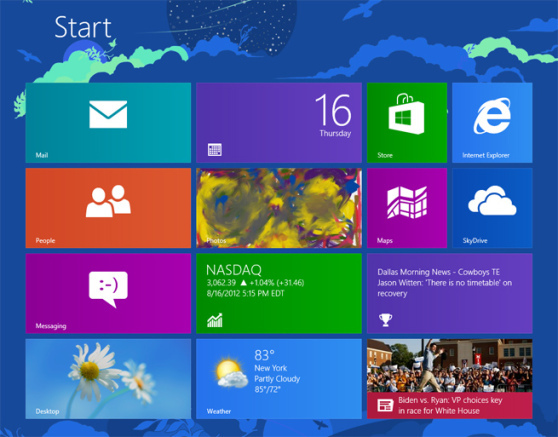 We hope that little trick helps you out and brings you closer to the kind of Windows 8 setup that you want.